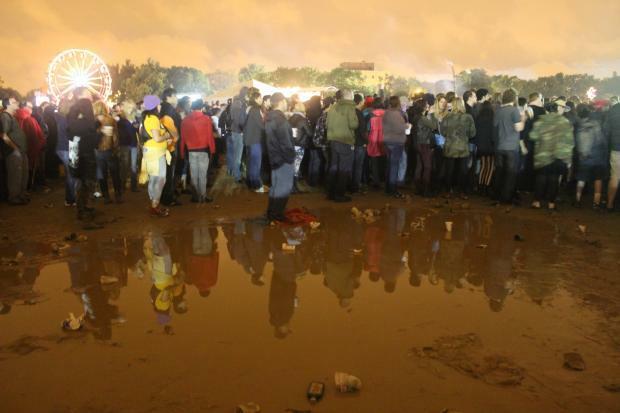 A crowd watches the stage during Riot Fest 2013, near a puddle of mud in Humboldt Park. HUMBOLDT PARK — A group opposing holding Riot Fest in Humboldt Park held a press conference Friday to say the community does not support the fest and to dispute an earlier claim that the group behind the Puerto Rican Festival and Parade at the park backs the music fest. About 40 people, members of the newly formed Humboldt Park Citizens Against Riot Fest, came out to the press conference and said they did not want Riot Fest to be held at the park in September. “The Puerto Rican Community of Chicago, and in particular the Puerto Rican community in and around Humboldt Park, does not support Riot Fest and does not want Riot Fest anywhere near our beloved park,” the group said in a statement. In another statement, sent by Xavier Nogueres, the group said "the festival is no longer sustainable here. 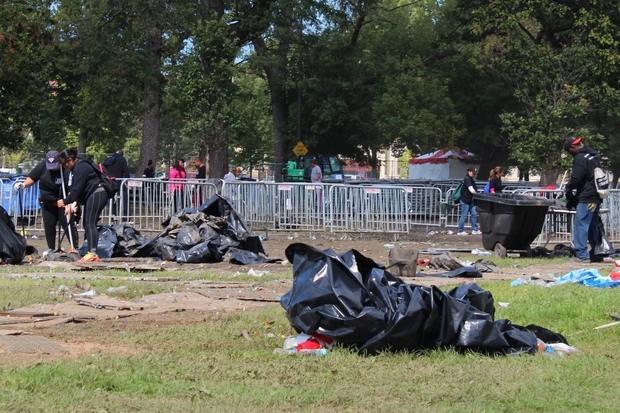 The Riot Fest festival has caused unacceptable damage, denied lengthy access to the community, created many negative issues for surrounding residents, and produced ecological destruction to the park." The Friday afternoon press conference at the Humboldt Park field house, 1440 N. Sacramento Ave., was called after a statement issued from Riot Fest organizers made headlines this week after it proclaimed support for its three-day music fest in September from that the Puerto Rican Festival and Parade Committee of Chicago, which hosts its own fest in June in Humboldt Park. The statement said the parade committee would work with Riot Fest to make sure the "true voice and tone" of the community is "not stifled by officials who do not represent the needs and concerns of the community." But Nogueres claims the statement did not truly represent the community or the festival committee's wishes. He said they were made by Tito Medina, the longtime head of the Puerto Rican Festival and Parade Committee of Chicago. But in an interview, Nogueres claimed that there was an election late last month in which Jose Luis Echevarria was elected as the new head of the committee. He said that Medina had refused to step down. 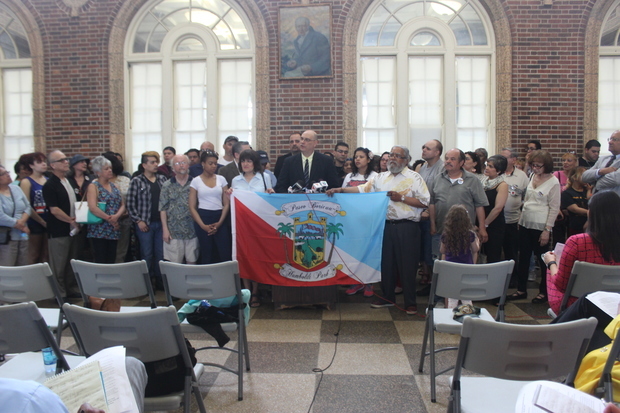 "These statements were made by the past President without authority and do not represent the views of the Casa Puertorriqueña or the Puerto Rican Community of Chicago," Nogueres' statement said. "The current President and Committee DO NOT support Riot Fest." Medina could not immediately be reached for comment and a voicemail set up by the committee was full and not accepting messages. Echevarria was not at the press conference Friday, but organizers distributed a statement from him that echoed the earlier statement from Nogueres. Ald. Roberto Maldonado (26th) made news in April when he called for the expulsion of Riot Fest from Humboldt Park. A public feud quickly followed with Riot Fest founder Mike Petryshyn, who maintained with "100 percent certainty" that Riot Fest would return despite the alderman's objection. On Friday, the anti-Riot Fest coalition announced a march against Riot Fest set for May 23.